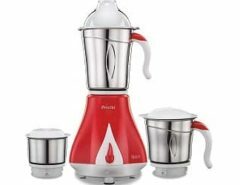 Top 10 Best Gas Stove Brands in India 2019: As we know that gas stove is one of the important thing for every house in India either you are living in nuclear family or joint family or whatever number of people in the house all we need a best quality gas stove because without gas stove it quite difficult to survive in today’s world. 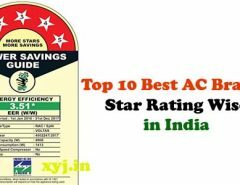 As it is one of the important thing now a days so I decided to publish article on it and here on this page I am going to share the list of top 10 best gas stove brands in India according to their popularity and qualify of products. This article is based on several customer review on varied different websites and the purpose of the content is help you to choose the best brand under your budget so just have a glance on below list. If you ask any expert or common people about the which gas stove you should buy? 7-9 out of 10 people will recommend for the Sunflame gas stove. It may be possible they recommend other brands as well but surely Sunflame will be one of them. Official slogan of Sunflame is “The Clear Choice” and Sunflame is the well known brand in the Gas Stove industry. The price of sunflame gas stove could little higher than other gas stove brands it because of its quality and popularity in the general people. So without any doubt you can go for Sunflame gas stoves. 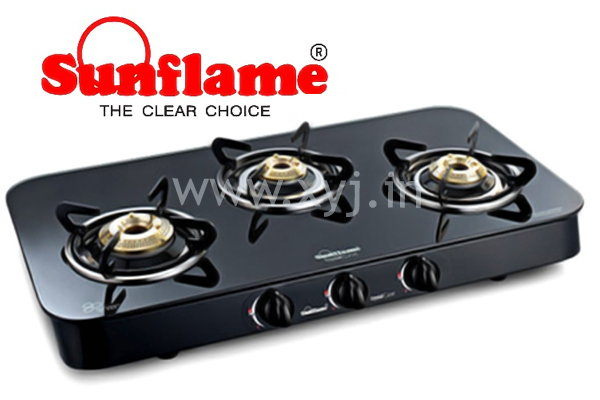 Either you need 1 burner gas stove or 5 burner gas stove Sunflame offer all type of Gas stove for all Indian house. If you are looking for high quality and affordable price gas stoves then go for the Pigeon gas stoves. You can find pigeon Gas stoves in almost every big shop which offers high quality and affordable gas stoves. Pigeon get its popularity because of its price and the quality which they deliver. Similar to other gas stove companies Pigeon also offer 1 – 5 burners of gas stoves. Another company who specialize in delivering of high quality of gas stove is Milton. Milton manufacture more than 30,000 L.P.gas Stoves per month i.e. approx 3.6 lacs per year instead of this its co-branding with “Indane” and “Bharat Gas”. Milton offer quality gas stove may be it not looks so fancy in comparison to other gas stoves brands so if you look for brand and quality can go with Milton gas stove if you looking for fancy and branded gas stove then go with any random gas stove company which listed here. The name of the company is very similar to Sunflame it could be a reason of its popularity instead of this Suryaflame gain its popularity via delivering high quality gas stove for all families you can get 1 burner to 5 burner of gas stove of Suryaflame. Suryfalme specially deals in Gas stoves so you can understand what kind of quality gas stoves they deliver. Every Indian is very familiar with this brand as Prestige gain huge popularity in the local Indians via delivering high quality of pressure cooker. Prestige already offering gas stove from past few years to Indian people as its already won the trust of Indian families so it become easy for Prestige to enter in Indian families. Those days are gone when USHA is known only for its sewing machines no doubts that USHA still offers unbeatable quality of sewing machine but with the passage of time several competitors are in the same industry and USHA decided to move with home appliances and came with really great quality of gas stoves. USHA also offers 1 burner to 5 burners of gas stoves for all families. Another brand with high quality and low price is Butterfly if you compare its price to other popular brands like as Sunflame, Prestige then Butterfly price are quite affordable. It is also becoming popular choice of people who going to buy new gas stove for their home. Faber offers all type of kitchen essentials and delivering good quality of gas stoves since 1935. Faber specially deals in Chimney and Gas stoves instead it offer other kitchen essentials. As gas stoves is it one of most produce product so there is no doubt how much they focus on their quality of gas stoves the price of FABER Gas stoves are quite affordable. Faber not offer 1-2 burner of gas stoves as other companies delivers it. Everyone knows about the Bajaj as its already gain popularity and won trust of its customers from two wheelers now Bajaj in the industry of Gas Stoves. As Bajaj is new in the industry of gas stove so they tag there price very competitive for its customers. So the price of Bajaj gas stoves are not so high as well as not very low so if you want to try something new which already won the trust of yours then must try Bajaj Gas Stoves. Glen founded in the year 1999 with the mission “To be most sought after brand of home appliances that offers technologically superior world class products & service, and to build a long term relationship with customers and business associates for stronger standing in the market”. Glen offering high quality of 2-5 burner of gas stoves to its customers to all over India. Instead of these top 10 popular gas stoves brands you can also go for some other gas stoves brands as well such as Padmini, Inalsa, Butterfly, Nova, AD Surya, Cata and Gilma. As the month of October is counted as festive season so these companies provide great offer on products sale so buy any gas stove this Diwali or Dhanteras and save money. You can visit the official websites for the address as mentioned official website of popular gas stove brands of India. Please do not recommend products that do not follow the BIS / ISI standards. You are misguiding the consumers. it will be highly appreciated if you could also aware people which of these brands are not ISI standards??? Gas stove (Prestige royale Glass Table) was purchased on 11th April 2015. On 28th May 2015,when I was boiling potatoes in a small sized pressure cooker on the stove, the glass table broke into pieces. A complaint was registered (complaint no. KOLK1101118) by prestige customer service which was subsequently followed up by technical support, Kolkata. I was told, as per the company policy, they are going to replace the glass table free of service charge but the charges for the new glass top table will have to be borne by me. My concern is why should I pay extra one thousand for the glass table when it broke into shards for no fault of mine that too barely after one month of purchase? Glass top oven are unreliable, customers should be advised accordingly. What is the lifetime of a steel cooktop? I bought a Faber stainless steel cooktop. The brass burners had to be replaced very frequently. The after 5 years the steel body started to break around the burners, leaving gaping holes in the cooktop. When I switch of the burner, the cooktop makes a loud cracking noise. I called the technician. He said he had never seen such a bad condition of their cooktop. I insisted that perhaps this was a defective piece to start with. The company refused to entertain any further discussion saying that I would have to replace the steel body at my cost. I have never had such problems with my ordinary Indian cooktops in the past, always giving away my cooktops to others when I decided to purchase a new one. I am disappointed in the service of Faber. I expected better service. I bought BAJAJ 4 burner gas stove last year, within 5 months it caused low flame issue in 2 burners warranty service personnel visited and very next day same problem occurred, it is repeated 4 -5 times but still warranty service was unable to rectify the problem. And the materials used in this stove looks so cheap quality. Never buy BAJAJ stove. No, According to me SUNSHINE is a best Brand for L.P.G. Gas Stoves. I am Owner of R.K. Kitchen Appliances. My Mob. no.=09728434300. This is a nice post about gas stove. 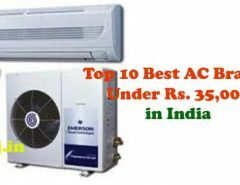 This post has given the picture of 10 best companies gas stove which will help the buyer to select a good gas stove for their family. So thanks for writing such a wonderful post.